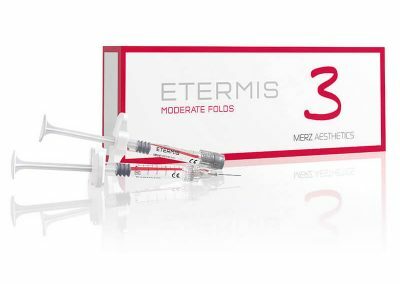 The Etermis range consists of three monophasic, cohesive, hyaluronic acid (HA) fillers combined with mannitol. Mannitol is an antioxidant that acts as a free-radical scavenger to minimize degradation of HA. 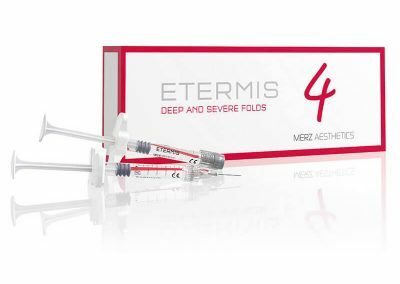 The Etermis product range offers what is required to achieve beautiful results in the treatment of fine lines, moderate and severe wrinkles. 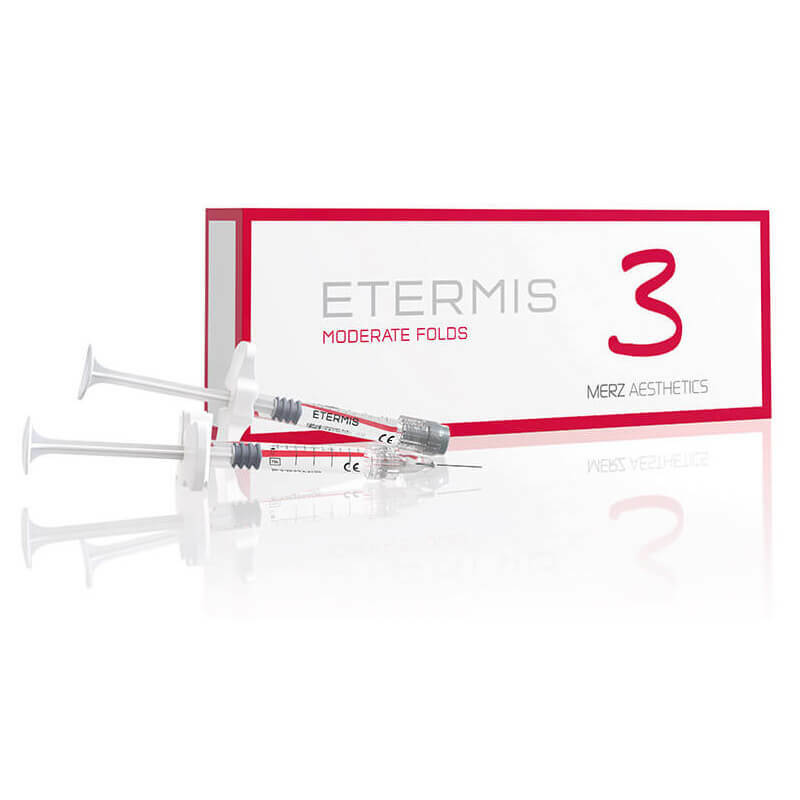 Etermis® 3 is to be used for moderate wrinkles and lip enhancement in areas as nasolabial folds, marionette lines and lip enhancement. 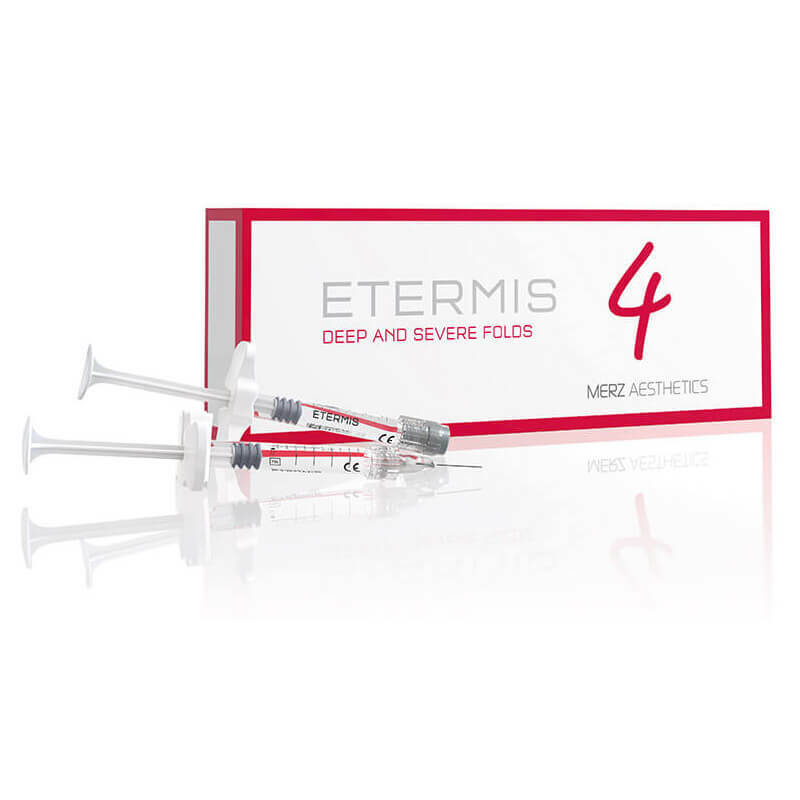 Etermis® 4 is to be used in the deep and severe wrinkles in areas as nasolabial folds, marionette lines and lip enhancement.